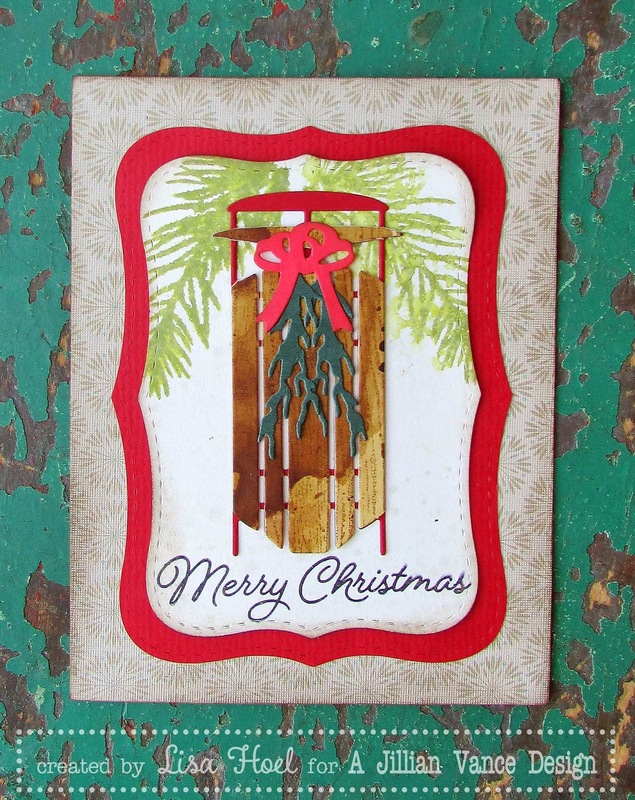 Hello, Lisa Hoel here with another Christmas in July card. I know I always have all sorts of Christmas creative ideas in my head but I run out of time when the season is actually upon us. I think starting in July might not be a bad idea! I wanted to go for a "woodsy" look so I pulled out the Antique Sled Die set. I cut the background using the Elegant Rectangle Backdrop die set. For the top layer I sprayed it with Biscotti Perfect Pearls mist for a bit of shine and stamped the pine branches with Peeled Paint Distress Oxide ink. I lightly misted the stamping to give the branches a watercolor look and get the ink to react and do its oxidation thing. For the sled, I cut it out twice. Once from red paper and once from my "wood-grain" paper. I trimmed away the frame parts and glued the wood planks to the base red cut. 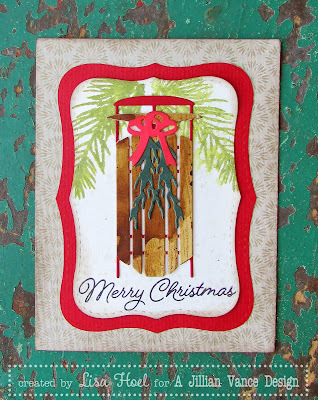 It's a simple card but festive!